The ending of an era the beginning of a new one AFter 4 years on mixx 96.1 fm miami as south floridas number one radio show host period, walshy fire is getting ready to move on to a whole new level. His drive time shows of soca, dancehall, and of course throw back thursdays have been a staple for caribbean listeners. ASk anyone, Craziest callers, insanely high listnership, and car crashing vibes! Every day callers would scream "i cant get out of my car cuz of u" "u got me in trouble on my job" or " i almost ran over someone juss now". The show was legendary and we will always have the memories (and audio) of the madness. But now its time to take that madness to another level. Juss like Mixx 96 djs before him, Dj Khalid, papa kieth, etc. 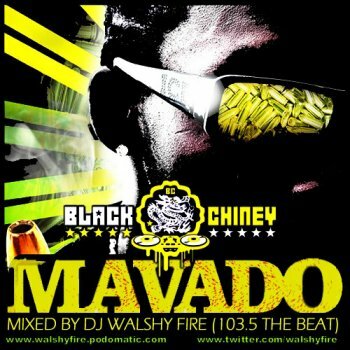 Walshy Fires hard work was heard by the program managers of a major radio station. So it is official! Walshy Fire and co host lady terra will be starting a brand new show this sunday called Rockers Island on 103.5! Yep! 103.5 the beats very first caribbean radio program. Walsh will be bringing and expanding his enourmus listenership to a station that broadcasts as far south as the keys, to west pam beach, to bahamas! And to kick off this momunetous occasion we will be celebrating the launch of the show with an after party at opium garden this sunday! And Guess what its hosted by the Gully Gad himself…Mavado Mavado will also celebrating his bday so dis ago maaaaaad!